In order to deal with a backlog of finished but unreviewed books, as well as some I didn’t finish (DNF), I’m going to do a first ever “snippet review” on Hardkover. Get ready, here they come! by Douglas Bond. 383 p. Published by P&R Publishing in June 2009. Received through NetGalley in exchange for my honest review. This is one of my DNFs – I got half way through and was uninterested and unimpressed. This historical fiction about John Calvin is told through the eyes of his frenemy, Jean-Louis Mourin. I don’t know if it was the forced feeling of the “old English” style of speaking (which doesn’t make much sense, given that the story is set in France), the slow plot, or the heavy-handed characterization of the narrator (I felt constantly bludgeoned with foreshadowing) – this book was not for me. I liked the concept, as my favorite way to read about historical people is through historical fiction (I find them much more engaging than biographies). I saw many good reviews for it on Amazon, so give it a try if you find it interesting. Just wasn’t my cup of tea. 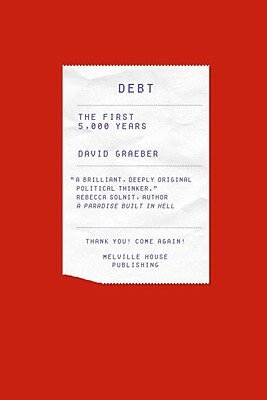 by David Graeber. 544 p. Published by Melville House Publishing in July 2011. Received through NetGalley in exchange for my honest review. by Vickie McDonough. 304 p. Published by Moody Publishers November 2011. Received through NetGalley in exchange for my honest review. Picked this one off NetGalley because I liked the first two in the series, Lone Star Trail and Captive Trail. It was as good as the first two and I’m looking forward to the remaining three. This book featured the story of a young man who went off to fight in the Civil War and came home to find his parents dead and his fiancée married to someone else; the female protagonist is an abandoned child who managed to survive by pretending to be blind (so she could stay at an orphanage for the blind). As was true with the first two books, the interesting historical setting was my favorite part about the story. The romance was a little predictable, but its hard to escape that in this genre. 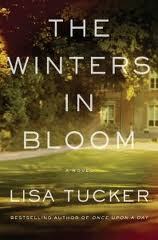 by Lisa Tucker. 288 p. Published by Atria Books September 2011. Received through NetGalley in exchange for my honest review. Half mystery, half drama – this reminded me in ways of Diane Chamberlain’s The Midwife’s Confession in genre and style. A couple’s only child goes missing and each one thinks that it is someone in his/her past that is to blame. The story flashbacks to previous relationships and how the couple met to explain their fears and eventually introduce the kidnapper. This book has decent character development (although I didn’t think the characters were quite as realistic as in The Midwife’s Confession) and a good plot – I found myself fairly hooked all the way through. However, I thought it petered out at the end; the denouement was very anti-climatic and you don’t get the satisfaction of participating in the inevitable reunion. by Nancy Guthrie. 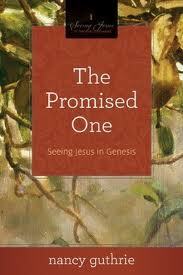 288 p. Published by Crossway Books July 2011. Received through NetGalley in exchange for my honest review. This was a FANTASTIC bible study! I love the format – each chapter begins with a list of questions and scriptures to read and contemplate before Guthrie “lectures” in the teaching section. 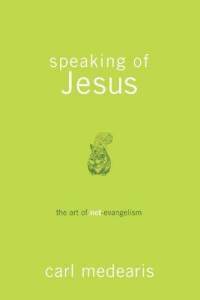 The chapter concludes with a pointed description of how that chapter’s topic points to Jesus and discussion questions for facilitating a group study. The chapters highlighted primarily Creation, Fall of Man, Noah, Babel, Abraham, Jacob, and Joseph. 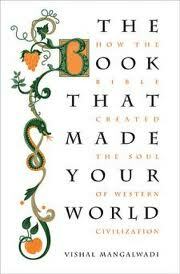 I used this book for my own personal devotion time and found it very enriching. I liked it so much that I’ve talked my small group into using it for our next study! Highly recommended. by Amor Towles. 352 p. Published by Viking Adult Books July 2011. Checked out from my local library using my Kindle! I vacillated on whether to give this book 3 or 4 stars – when I think about the writing, I want to give it 4 and when I think about the plot I give it 3. Overall, the characters are pretty decent, so I think it deserves the higher rating. 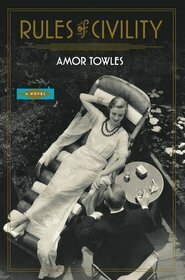 I wasn’t blown away by the plot of this book; however, when Amor Towles puts together words, he doesn’t just make a sentence — he makes magic! I found myself stopping to re-read parts aloud, just to see if they sounded as beautiful out loud as they did in my head. He manages to find that perfect balance of writing vivid prose without it being flowery or ridiculously over-the-top. The book itself is very Great Gatsby-ish – not only because it is set in Manhattan in the 1930s as people are struggling to recover from the Great Depression, but the writing has that older Fitzgerald style. 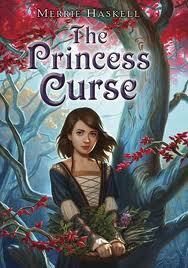 I liked the female protagonist and thought she had an interesting narrative voice for this time period. If the plot had been more poignant, it would have ranked 5 stars. Definitely recommended. by Merrie Haskell. 336 p. Published by HarperCollins September 2011. Checked out from my local library in old-fashioned hardback binding. Recommended by the BookSmugglers. I loved the idea of this book – the tale of the Twelve Dancing Princess, with the heroine being an apothecary‘s apprentice who tries to lift the curse. The book just never quite lived up to its potential, however. The imaginary world Haskell created didn’t seem to materialize and charm me the way other fairy tale worlds have (I’m thinking of Ella Enchanted and The Princess Academy in particular). Perhaps that is why the plot felt a little choppy and the characters just a little too far from reach to join my cast of literary friends – it was hard to truly fall under the magic of living in another world and allowing them to be real. Although I don’t think this one will join Ella and The Princess Academy on my classics shelf, I would still give it to middle graders or young adults who like a good fairy tale. by Liz Curtis Higgs. 464 p. Published by WaterBrook Press March 2011. Checked out from my local library on my Kindle! This was the first book I’ve picked up in months that I simply could NOT put down! I’ve long owned and loved Higgs first Scottish trilogy beginning with A Thorn in My Heart, which is based on the biblical story of Jacob, Rachel, and Leah. 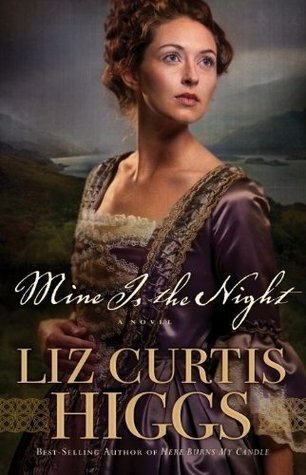 Mine is the Night is the sequel to her second Scottish series, this time adapting the story of Ruth, Naomi, and Boaz in the setting of the Scottish Jacobite rebellion. Each one is well written, engrossing, and always pointing to underlying story of faith and redemption from the original biblical version. Not only is this a great time period to read about (Scotland! Rebels! Bonnie Prince Charlie! ), but Higgs’ amazing depth and breadth of research combines with her clever writing to bring the heather hills and thick Scottish brogue alive. Highly recommended! Just the Facts: by Hank Hanegraaff. 380 p. (Actually, 290 without the appendix, endnotes, and index). Published 2011 by Thomas Nelson. Advanced review copy provided by Thomas Nelson’s “Booksneeze” program in return for my honest opinion. Short Bio: Once of the most frequently voiced criticisms of Christians is that they believe a book written some 3500-2000 years ago is not only divine revelation given to man at that time, but that it has remained virtually unchanged since then. The “Bible Answer Man” responds to these criticisms with four main categories of evidence: the reliability of the manuscripts we have, archeological finds that corroborate biblical accounts, the fulfillment of prophecy, and finally the “art and science of scriptural interpretation”. He presents his evidence in the form of pneumonic devices that help the reader remember the main points of each (i.e., for “Manuscript C-O-P-I-E-S”, one has a device to remember that Copyist practices, Oral tradition, Papyrus & parchment, Internal evidence, External evidence, and the Science of textual criticism are the supporting facts for how we know we can rely on the biblical manuscripts we have today). Overall, I thought this was an extremely interesting book and a good read. This is the second book I’ve read this year that appears to be written mainly as a response to some vociferous opponents of the authors and both are about the Bible (See “The Book That Made Your World”, responding to criticism that Christianity was an imperialistic and oppressive force in India, for the other). Hanegraaff’s book contains numerous rejoinders to several Biblical critics (most often to Bart Ehrman, who is a religious studies professor at UNC Chapel Hill). It contains a wealth of information about the science of manuscripts, archeology, history, and whether the skeptical arguments against the veracity and authenticity of the Bible hold any weight. It’s organized fairly well, and the pneumonic devices he gives are actually very useful (I found myself trying to recall them at the end of each section to cement the points in my memory). A few weaknesses are that the book could have used some better editing (I repeatedly had a feeling of “deja vu” as I read sentences that had been used almost word for word in an earlier section – you really can’t use phrases like “the story is interesting as well as instructive” or “the land vomited out the children of the promise just as it had the Canaanites before them” more than once without someone catching it) and that Hanegraaff gave too much text to his opponents. Its one thing to briefly mention an opposing viewpoint that you want to counter, but to give whole paragraphs or pages to their writing makes it seem like the author is obsessively aggravated. Overall, you get the feeling that Hanegraaff was writing more of a reference resource than a book designed to be read straight through, as there were not only exact phrasings that were repeated, but also examples and evidence used in multiple sections that are introduced as if for the first time. However, I found that I could dismiss my irritation at those points for the meat of the book. The manuscripts and archeology sections were really fascinating (and gave me a HUGE appreciation for how God has preserved the Bible over time). The prophecy section dragged a bit for me, but did have some gems; my favorite part of the book was Hanegraaff’s discussion of types in the bible, particularly “typological prophecy” in which the event that you are connecting to the prophecy is not the “predictive fulfillment” but the successive and more complete antitype to the first fulfillment (as in the case of Isaiah’s virgin birth prediction). Having heard of types and antitypes before, it was new information to me that this idea applied to prophecy as well as people and events. Amazing but true, today in the city of David you can step into the very Pool of Siloam in which the blind man “washed, and came back seeing.” (John 9:7 NKJV). You can traverse the Siloam tunnel that almost three thousand years ago provided the precious commodity of water to the inhabitants of Jerusalem during the siege of Sennacherib. You can see the Siloam inscription in the Istanbul Archaelogical Museum commemorating one of the greatest engineering feats of ancient history. You can rest your arms on the guard rail overlooking the excavated ruins of the Pool of Bethesda, where Jesus cared for the physical and spiritual needs of a man who had suffered the ravages of sin for thirty-eight years. And you can be amazed at the grace that what was once secreted in soil accurately reflects what which is sealed in Scripture. Just the Facts: by Susan Page Davis. 272 p. Published Sept 2011 by Moody Publishers. Advanced copy provided for review in electronic format, courtesy of the publishers (through NetGalley) in return for my honest opinion. 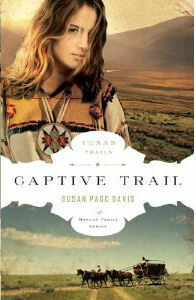 The Captive Trail is second in a six-book series about four generations of the Morgan family living, fighting, and thriving amidst a turbulent Texas history spanning from 1845 to 1896. Although a series, each book can be read on its own. Taabe Waipu has run away from her Comanche village and is fleeing south in Texas on a horse she stole from a dowry left outside her family’s teepee. The horse has an accident and she is left on foot, injured and exhausted. She staggers onto a road near Fort Chadbourne and collapses. On one of the first runs through Texas, Butterfield Overland Mail Company driver Ned Bright carries two Ursuline nuns returning to their mission station. They come across a woman who is nearly dead from exposure and dehydration and take her to the mission. With some detective work, Ned discovers Taabe Waipu identity. He plans to unite her with her family, but the Comanche have other ideas, and the two end up defending the mission station. Through Taabe and Ned we learn the true meaning of healing and restoration amid seemingly powerless situations. I picked this up because I liked Lone Star Trail. 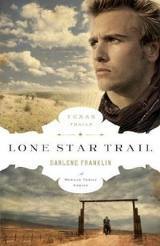 The sequel is written by a different author, but had all the same elements I appreciated about the first – interesting historical setting (this time dealing with the Comanche, Texas settlers, and French nuns who had set up a “mission” and school for girls), decent plot, and empathetic characters. Many children were captured and raised among Native Americans during Westward Expansion, and this story is a compelling snapshot of what such a situation must have felt like to a captive. Still loving this series, and would recommend it to anyone who likes historical fiction and interested in this era! Just the Facts: by Vishal Mangalwadi. 464 p. Published May 2011 by Thomas Nelson. Advanced copy provided for review in electronic format by the publisher (through NetGalley) in exchange for my honest opinion. Discover how the Bible became the West’s source of human rights, justice, heroism, optimism, compassion, capitalism, family, and morality. This book was a fairly interesting treatise on how the Bible has influenced all aspects of our civilization (for the better). You’d expect something like this to be written by a someone of Western Judeo-Christian background, but the author is actually a native Indian who writes the book as a response to a national Indian movement claiming that the Western Christian influence impacted India negatively rather than positively. Mangalwadi juxtaposes the kinds of behavior, motives, and priorities that result from the Christian faith with the mindset of those from Buddhist/Hindu faiths. He covers a rather diverse set of subjects to explore his theory that the best parts of all civilization are the result of Christian influence – the development of science and education, the protection of life and the rights of women, and the liberty and prosperity that characterize the West. This is one of those books that you kind of get the gist of within the first couple chapters – I found it hard to keep my interest past the second half of the book. However, it is very well written and very thought-provoking. Mangalwadi includes some personal anecdotes to make his point about the effect that other worldviews have on a society that are very provocative; the most poignant is one in which a neighbor girl is not only neglected to the point of death, but her parents refuse to let Mangalwadi and his wife offer their free help and resources to nurse her back to health (as a result of a worldview that says life is suffering and everyone has the life they deserve). If you like history and broad discussion of civilizations, you’ll probably love this book. Just the Facts: by Andrew Peterson. 304 p. Published by WaterBrook Press. Short Bio: Three children in the land of Skree soon find that their lives aren’t as boring or simple as they thought. Janner, Tink and Leeli Igiby think that the most exciting thing happening in Skree is the Dragon Festival, but they will soon have close run-ins with several mean-tempered Fangs of Dang, lizard like men that have dominated Skree from across the sea; follow treasure maps, escape the Black Carriage that takes small children back across the sea to who knows what kind of fate awaits them; narrowly miss being eaten by a fearsome toothy cow of Skree, and they will discover the treasures of the kingdom of Anniera. 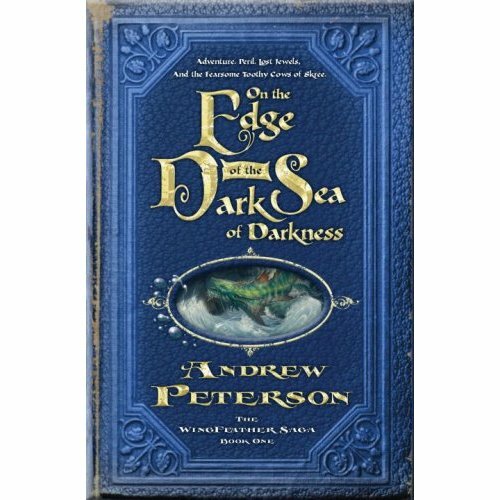 Eyewitness Account: Andrew Peterson, song and book writer, has a love for adventure and fantasy and a sarcastic twist to his sense of humor. Personally, I see him as an amalgamation of Lemony Snicket and Terry Pratchet. His hallmark is his faith, apparent in the moral message that he gives, perhaps promising an allegorical component to his Windfeather Saga. I enjoyed reading his book. He is not as repetitious as Lemony Snicket, and his writing style suits me well, though he does not have the smoothness of prosody that Pratch has. The only major critique that I would have for Peterson is that he brought his storyline to climax really early in the book and pretty much kept it there throughout the remainder of the book. Don’t forget that a book can have minor climaxes and that denouement and resolution can not only give your reader some time to process what’s going on but can also be a major proponent of character and plot development. Other Books Read by This Author: This is my first book read by this author, but I will definitely be reading the next three books in the Wingfeather Saga. Just the Facts: by Carl Medearis. 187 p. Published 2011 by David C. Cook. Advanced review copy provided by Speakeasy in return for my honest opinion. (Book excerpt read by Carl here). Who Cares? Anyone who loves Jesus but finds Christianity frustrating. Short Bio: Carl does his best to offend just about anyone who is attached to all the trappings of Christianity – but he does it with a sense of humor, a touch of reality, and with the obvious filter of being one of Jesus’s number one fans. He challenges the traditional ideas of evangelism and salvation by pointing out not only their lack of scriptural foundation (especially when looking at Christ’s example) but also by laying out what most of us know to be true – they are terribly ineffective and often get the opposite result! Carl makes the case that our current idea of “evangelism” is the result of believing we “win” people to Team Christian by convincing them logically that all the elements of Christian doctrine are true, but in the process end up having to defend a whole history of sinful and misguided actions committed in the name of Christianity. He advocates that we have moved away from the heart of the gospel – that Jesus said he himself was the only way to come to God (relationship, not logical belief). If you simply and joyfully point to Jesus rather than try to defend man’s religious version of Jesus’s message, you’ll witness some amazing things. Eyewitness Account: I LOVED this book. I’m ashamed to admit that I could relate all to well with Carl’s many examples of how we can we get so distracted with Christianity (ooh, shiny!) that we sometimes miss Jesus. In fact, although I would call myself a Christian, I found that Carl was definitely “evangelizing” to me – because I needed the reminder that it always boils down to how you respond to Jesus’s call to “Follow me”. I loved how accessible and readable this book was – I could give it to a 5th grader, to my grandpa, or to my pastor. Carl’s humor and humility are sugar that helps the medicine go down (I’m sure I annoyed my fellow bus passengers at several points by laughing out loud). Ultimately, I finished the book excited and energized to know Jesus more and follow him more closely – which I think Carl would appreciate! (Apparently Carl and I are BFFs and on a first name basis – try reading his book and see if you don’t feel the same way). Highly recommended, and I think that people of other faiths would also like this book! Other Books Read by This Author: None, but Tea with Hezbollah is on my list. Short Bio: Esther is coerced into submitting herself as a candidate to the new Persian King because her guardian uncle believes she can save the slave nation of Israel in Babylon. She is a Jewess but was admonished to tell no one. To her amazement, the King chooses her as queen. For the next year, Esther falls in love with the King and the two of them become physically and emotionally intimate. While she is queen, Esther begins a social justice program, namely disbanding the harem which she is ever jealous of. She resents her uncle and God for placing her in a trapped environment in which she has a husband that she now loves and has lied to about her background. As their love grows, the king and Esther spend whole summer vacations together and he declares to her that her influence in his life is supreme and he will deny her nothing. The almighty God-bridegroom picked a bride/queen – Israel. His bride was kidnapped by Babylon and sentenced to a life of slavery far from her home. When rumblings through the kidnap country threatened His bride, the bridegroom stepped into action to save her. 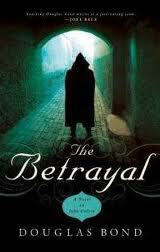 He picked a woman to be the symbol of his nation-bride and placed her in the kidnappers harem. She was incognito and managed to stay out of the radar until it came to her attention that she had to appeal to the enslaver to acquire the freedom of her people. She had no friends in the harem and every reason to believe that her enslaver would kill her for initiating contact, which was strictly forbidden. She had no support save her bridegroom God and prayed unceasingly (as did the entire Jewish nation) for his power to go with her. She approached the throne room knowing that she didn’t want to live if her people were all dead and wanted to die with them. But the bridegroom God, worked a miraculous act and the enslaver remembered putting her in the harem while in a drunken stupor. Esther has no basis with him to ask for a favor so she spends the next week, trying to establish a relationship of some sort by inviting him and Hamaan to dinner on three different occasions. On the last night, empowered only by the bridegroom God, she implores him to have mercy on her and her people. But alas, it is too late, a king’s edict once sealed is irrevocable. But the enslaver, is touched by the power of the bridegroom God’s symbol of his love and permits the Jews to defend themselves. A battle of Lord of the Rings proportions ensues and the Bridegroom God again supernaturally rigs the battle and his bride not only is free of the enemies wishing to annihilate her, but it is the beginning of returning home to be reunited with her true love. WOW! Her story pales in comparison. Just the Facts: by Melody Carlson. 288 p. Published August 2011 by Abingdon Press. Advanced review copy provided courtesy of the publisher, through NetGalley, in exchange for my honest review. Short Bio: Anna Larson journeys through a mid-life crisis of sorts when she returns to her hometown for her mother’s funeral and takes care of her late parents’ estate. She finds that living by the river helps her to deal with the disappointment of wanting a deeper relationship with an uninterested teenager daughter and the trauma of living under a manipulative mother-in-law. In her old hometown, she rediscovers her Native American heritage through the research of a doctoral student, Hazel, and gains the help of Hazel’s contractor son to transform her parents’ local mom-and-pop store into a riverside inn. Eyewitness Account: Although I have been a Melody Carlson fan in the past, this book was a bit of a disappointment. It just might not have been my particular brand of tea, but I thought that the plot moved very slowly, the main character seemed oblivious and wimpy, and the relationships rather stereotyped (teenage daughter who is bratty and disinterested, overbearing and manipulative mother-in-law, etc.). Anna’s relationship with her mother-in-law is complicated by her dependence on the woman, and that situation is resolved much too quickly and easily. Similarly, for such a shy mouse of a person, her new romance blooms into marriage far too quickly. However, I did like a few things – at the top of the list, I really enjoyed the emphasis on Anna’s Native American heritage and exploring the idea that we often come to value later in life what we despised when we are younger. Anna’s mom and grandmother were the most interesting characters in my opinion, but got much less development than the other living characters. If the book had been centered around them, I probably would have liked it more. Anna was just a hard person for me to like since she just came across as a naive doormat to me. 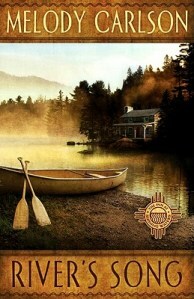 I thought this series would have the same warmth and charm that Carlson’s older Whispering Pines series, but it didn’t have the same feel to me. Just the Facts: by Darlene Franklin. 272 p. Published August 2011 by Moody Publishers. Advanced review copy provided in electronic format by the publisher in exchange for my honest review, courtesy of NetGalley. 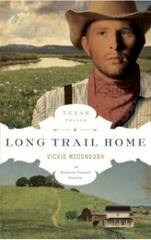 The six-book series about four generations of the Morgan family living, fighting, and thriving amidst a turbulent Texas history spanning from 1845 to 1896 begins with Lone Star Trail. Judson (Jud) Morgan’s father died for Texas’ freedom during the war for independence. So when the Society for the Protection of German Immigrants in Texas (the Verein) attempts to colonize a New Germany in his country, he takes a stand against them. After Wande Fleischers’ fiancée marries someone else, the young fraulein determines to make new life for herself in Texas. With the help of Jud’s sister Marion, Wande learns English and becomes a trusted friend to the entire Morgan family. As much as Jud dislikes the German invasion, he can’t help admiring Wande. She is sweet and cheerful as she serves the Lord and all those around her. Can the rancher put aside his prejudice to forge a new future? Through Jud and Wande, we learn the powerful lessons of forgiveness and reconciliation among a diverse community of believers. The last four fiction novels I’ve read have not been page turners, so it was nice to finally pick something up that I didn’t want to put down! Not only did I love the setting (Texas settlers, both “American” and German, just after the state joined the U.S.), but I loved the characters and their own personal journeys. I felt like the relationship conflict was more realistic, with just the right amount of communication struggle vs attitude hang-ups (pride, anger, jealousy, insecurity, bitterness, etc.). Some books make relationship conflict all about a lack of communication, but the characters in Lone Star Trail acted much more like my own friends and family do. I admired the way Franklin perfectly wove in the themes of prejudice and forgiveness. I finished it the day I picked it up – very well done! Just the Facts: by Ron and Jennifer Kujawski. 200 pages. Published in 2010 by Storey Publishing. Received as a gift on my birthday this year. “Timing is everything,” they say, and vegetable gardening is no exception. Knowing exactly when to start seeds indoors, what day to transplant them into the ground, when to pinch off the blossoms, and when to pick for peak flavor is the secret to enjoying bountiful harvests all through the gardening season. 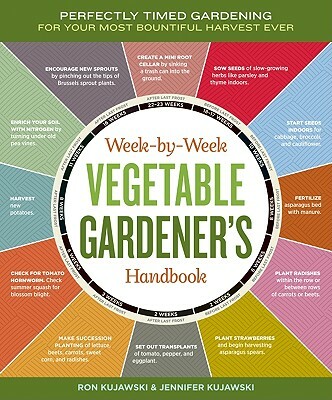 In Week-by-Week Vegetable Gardener’s Handbook, authors Ron and Jennifer Kujawski take the guesswork out of gardening with weekly to-do lists that break gardening down into easily manageable tasks. Suitable for all gardening zones, the book offers easy instructions for setting up a personalized schedule based on your last frost date. The Kujawskis are an inspiring father– daughter team who share their own triumphs, mistakes, and misadventures over many years spent together in the vegetable patch. Readers will enjoy the friendly direction and advice these veterans offer. Easy-to-read boxes, bulleted lists, charts, and detailed how-to illustrations make each week’s activities clear and doable. Spots for record-keeping encourage readers to track their own successes and fine-tune their weekly schedules from year to year. Inch by inch, row by row, week by week, gardeners will move confidently through the gardening season. Whether it’s planting the strawberries, pinching off the pumpkin blossoms, checking for tomato hornworm, or harvesting the carrots, they will know exactly when and how to do it for the most bountiful harvests and the most enjoyable vegetable-growing experiences ever. My husband and I ventured out into the great world of gardening this year, planting squash, tomatoes, peppers, cantaloupe, beets, radishes, artichokes, and herbs. We stumbled through the internet looking for advice on when to plant, which seeds to start inside and which to plant in the ground, what kind of soil they need, how often to water . . . OVERWHELMED! If you can relate, then GRAB THIS BOOK! The book is organized into small, bite-sized clips of information and steps to take each week of the year. You start in the winter by planning your garden, researching and ordering seeds, and sharpening/repairing gardening tools. The book tells you when to start indoor seedlings, when to harden and plant, what diseases to watch for, when to fertilize . . . all in digestible chunks! I actually didn’t mean to just sit down and read it (it’s supposed to be weekly, right?) but I got sucked in (and finally discovered what the leathery brown stuff was on the bottom of my tomatoes and how to prevent them!). This book is invaluable, and I plan to re-read it at least twice more as well as use it as a reference. I can’t wait until winter to start planning next year’s garden!